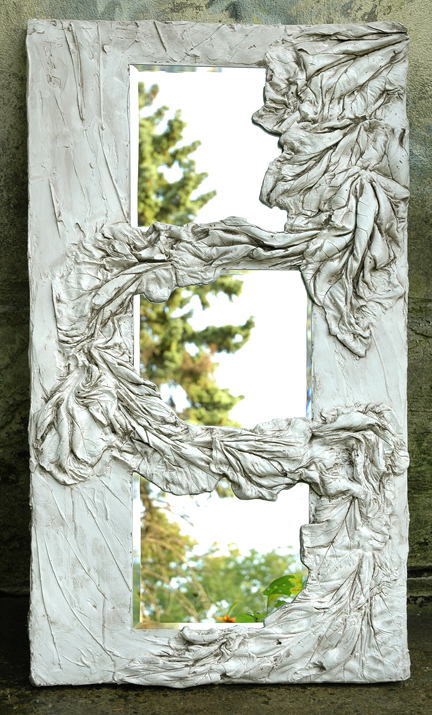 Our mirrors are 2 ft by 2ft or less. They can be cut to any shape. This is an exciting technique! 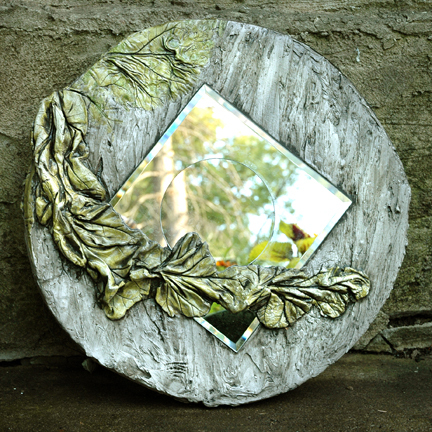 My outdoor mirrors have withstood winter beautifully. 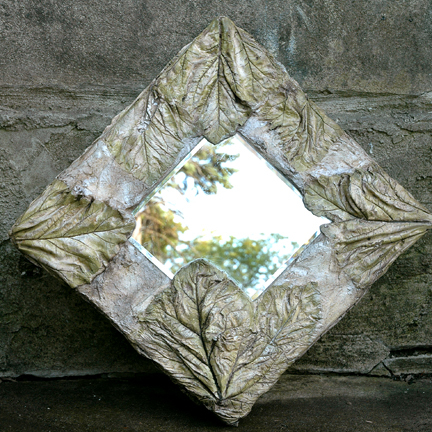 We will spend the day cement leaf casting your large mirror (or two smaller) to take home with you at end of day to cure. Your leaves are peeled off after 24 hrs and painted and stained at leisure. I'll show you how.